Yiannis is Senior Lecturer in Health Management and Leadership. He is also Visiting Scientist at Harvard University T.H. School of Public Health and Honorary Research Fellow at Imperial College London. He is Associate of the Faculty of Medical Leadership and Management and the Associate Editor of BMC International Health & Human Rights. He previously worked at the Faculty of Medicine and the Business School of Imperial College London. His primary research interests include the diffusion of health innovations, institutional and professional identity change, health system reforms and the implementation of evidence-informed interventions in healthcare. His research has been published in top management, medical and health services research journals, including Academy of Management Journal, Lancet Infectious Diseases, Clinical Infectious Diseases, BMJ Open, Implementation Science. Yiannis studied for his MSc and PhD degrees in Health Management and Organisation Studies at Imperial College Business School. He also holds two PG Diplomas from Imperial College Business School (DIC) in International Health Management and the Diffusion of Innovations and a DVM with distinction in Veterinary Medicine from Aristotle University in Thessaloniki, Greece. Yiannis is currently a Senior Lecturer in Health Management & Leadership at City University London. Prior to his current appointment he worked at the Medical and the Business Schools of Imperial College London. He initially worked as a researcher at the Imperial College Business School Centre for Health Management, where he also consulted for major international health organisations such as the World Health Organization and the World Bank. He then moved to the National Centre for Infection Prevention & Management at the Faculty of Medicine of Imperial College London where he was Head of the International Health Management Collaborative, a research group that focused on health care organisation and service delivery research in the UK and internationally. During this time he also led consultancy work for the Global Fund to Fight AIDS, Malaria & Tuberculosis. Prior to his academic career Yiannis practised for two years in the UK as an official veterinary surgeon. Yiannis' primary area of research is in healthcare management and leadership. His work investigates the role of social institutions in shaping identity change for professionals in healthcare, particularly doctors; the implementation of international health system reforms; the adoption and diffusion of service and technological innovations in healthcare, including the use of evidence in the process by clinicians and managers; patient safety and organisational safety culture. Yiannis has extensive research experience in the English NHS and internationally. He has been awarded competitive research grants as Principal or co-Investigator from several prestigious sources. He conducted research on the diffusion, and implementation of family medicine primary care reforms across five European transition countries, namely Bosnia & Herzegovina, Estonia, Moldova, Serbia and Slovenia. He undertook research and consultancy work for World Bank funded projects in Bosnia & Herzegovina, Moldova and Turkey as well as for the Global Fund in Ukraine and Moldova as Principal Investigator. He has worked as a researcher and independent consultant for the World Health Organization in Bosnia & Herzegovina. 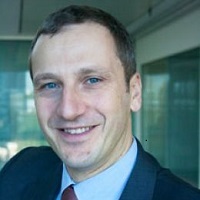 Yiannis is a founding member of the European Health Management Association Transition Countries Network for Senior Health Managers and Health Policy Makers. - National Institute for Health Research Health Service & Delivery Research Project (NIHR HSDR) – Co-Investigator (with Prof A. Holmes Imperial College London & Prof S. Dopson University of Oxford) & Project Lead: Research explores how healthcare managers make sense and use evidence when adopting and implementing new technologies to help fight hospital infections. Robust comparative case studies in nine Hospital NHS Trusts across England - innovations from technology (coated catheters) to service design (temporary isolation facilities). Competitive peer-reviewed grant (£284,000, November 2010 – October 2012). - Department of Health England - Co-Investigator (with Prof A. Holmes Imperial College London) & Project Lead: Project funded (£100,000) by the Department of Health England (May 2009 – May 2010). Researching the adoption, procurement and implementation of innovative technologies to help combat Health Care Associated Infections by 12 NHS Trusts across all ten Strategic Health Authorities in England. - GFATM Ukraine / Moldova – Principal Investigator (with Prof A. Holmes Imperial College London): Project funded ($120,000) by the Global Fund to fight HIV/AIDS, Tuberculosis and Malaria (August 2009 – April 2010). Country case studies to assess the interaction and level of integration between GFATM supported vertical disease programmes and the health systems in Ukraine and Moldova. - Bosnia & Herzegovina: World Health Organization (March 2009). Principal Investigator Research Consultancy Project ($20,000) Designed post intervention Users’ Perception Review in five pilot project implementation areas. Carried out pre/post- intervention evaluative analysis. Produced final research report, including recommendations for the health authorities. As Principal or Co- Investigator Yiannis was awarded over half million pounds in research funding in the last four years. Awards include the National Institute for Health Research, the Global Fund, the Department of Health in England, and the World Health Organization. Yiannis has led research and consultancy projects for the World Bank, the World Health Organization, the Global Fund, and the European Union. His research has informed and influenced government bodies in areas such as the mobilisation of knowledge into practice, and the implementation of major health reforms. Examples include the Ministries of Health in Turkey, Serbia, Moldova, Ukraine, Bosnia & Herzegovina, and the English NHS. As Honorary Lecturer for the National Centre for Infection Prevention & Management Imperial College London he supports research in Work-Stream 1 on innovation adoption and behaviour change and Work-Stream 4 on capacity building and education on Health Care Associated Infections. He is also advising on theory and methodology on two work packages (WP3 & WP4) for the EU-funded research project Prevention of Hospital Infections by Intervention & Training (PROHIBIT). Kyratsis, Y., Atun, R., Phillips, N., Tracey, P. and George, G. (2017). Healthcare in Transition: Professional Identity Work in the Context of Shifting Institutional Logics. Academy of Management Journal, 60(2), pp. 610–641. doi:10.5465/amj.2013.0684 . Kyratsis, Y. (2016). Issues of governance in implementing complex policy innovations: lessons from the uptake of primary healthcare reforms in Estonia, and Bosnia and Herzegovina. In Greer, S.L., Wismar, M. and Figueras,, J. (Eds. ), Strengthening Health System Governance. Better policies, stronger performance (pp. 223–244). Open University Press. ISBN 978-0-335-26134-5. Kyratsis, Y., Ahmad, R., Iwami, M., Castro‐Sánchez, E., Atun, R. and Holmes, A.H. (2019). A multilevel neo‐institutional analysis of infection prevention and control in English hospitals: coerced safety culture change? Sociology of Health & Illness. doi:10.1111/1467-9566.12897 . Mizuno, S., Iwami, M., Kunisawa, S., Naylor, N., Yamashita, K., Kyratsis, Y. … Ahmad, R. (2018). Comparison of national strategies to reduce meticillin-resistant Staphylococcus aureus infections in Japan and England. Journal of Hospital Infection, 100(3), pp. 280–298. doi:10.1016/j.jhin.2018.06.026 . Hansen, S., Schwab, F., Gastmeier, P., Zingg, W., Pittet, D., Zingg, W. … Wu, A.W. (2018). Association of national and hospital factors to hospitals' alcohol-based handrub consumption in Europe: results of the European PROHIBIT study. Clinical Microbiology and Infection, 24(7), pp. 778–778. doi:10.1016/j.cmi.2017.10.015 . Alzahrani, F. and Kyratsis, Y. (2017). Emergency nurse disaster preparedness during mass gatherings: A cross-sectional survey of emergency nurses' perceptions in hospitals in Mecca, Saudi Arabia. BMJ Open, 7(4). doi:10.1136/bmjopen-2016-013563 . Castro-Sánchez, E., Kyratsis, Y., Iwami, M., Rawson, T.M. and Holmes, A.H. (2016). Serious electronic games as behavioural change interventions in healthcare-associated infections and infection prevention and control: A scoping review of the literature and future directions. Antimicrobial Resistance and Infection Control, 5(1). doi:10.1186/s13756-016-0137-0 . Kyratsis, Y., Armit, K., Zyada, A. and Lees, P. (2016). Medical leadership and management in the United Kingdom. Australasian Psychiatry, 24(3), pp. 240–242. doi:10.1177/1039856216635909 . Hansen, S., Zingg, W., Ahmad, R., Kyratsis, Y., Behnke, M., Schwab, F. … Wu, A.W. (2015). Organization of infection control in European hospitals. Journal of Hospital Infection, 91(4), pp. 338–345. doi:10.1016/j.jhin.2015.07.011 . Hansen, S., Schwab, F., Gastmeier, P., Pittet, D., Zingg, W., Sax, H. … Wu, A.W. (2015). Provision and consumption of alcohol-based hand rubs in European hospitals. Clinical Microbiology and Infection, 21(12), pp. 1047–1051. doi:10.1016/j.cmi.2015.09.019 . Kyratsis, Y., Ahmad, R., Hatzaras, K., Iwami, M. and Holmes, A. (2014). Making sense of evidence in management decisions: the role of research-based knowledge on innovation adoption and implementation in health care. Health Services and Delivery Research, 2(6), pp. 1–192. doi:10.3310/hsdr02060 . Martin, M., Zingg, W., Knoll, E., Wilson, C., Dettenkofer, M., Pittet, D. … Wu, A.W. (2014). National European guidelines for the prevention of Clostridium difficile infection: A systematic qualitative review. Journal of Hospital Infection, 87(4), pp. 212–219. doi:10.1016/j.jhin.2014.05.002 . Charani, E., Castro-Sanchez, E., Sevdalis, N., Kyratsis, Y., Drumright, L., Shah, N. … Holmes, A. (2013). Understanding the determinants of antimicrobial prescribing within hospitals: The role of "prescribing etiquette". Clinical Infectious Diseases, 57(2), pp. 188–196. doi:10.1093/cid/cit212 . Charani, E., Kyratsis, Y., Lawson, W., Wickens, H., Brannigan, E.T., Moore, L.S.P. … Holmes, A.H. (2013). An analysis of the development and implementation of a smartphone application for the delivery of antimicrobial prescribing policy: Lessons learnt. Journal of Antimicrobial Chemotherapy, 68(4), pp. 960–967. doi:10.1093/jac/dks492 . Kyratsis, Y. and Ahmad, R. (2013). Mapping the terrain of investment in global infectious diseases. The Lancet Infectious Diseases, 13(1), pp. 6–7. doi:10.1016/S1473-3099(12)70289-X . Ahmad, R., Kyratsis, Y. and Holmes, A. (2012). When the user is not the chooser: Learning from stakeholder involvement in technology adoption decisions in infection control. Journal of Hospital Infection, 81(3), pp. 163–168. doi:10.1016/j.jhin.2012.04.014 . Kyratsis, Y., Ahmad, R. and Holmes, A. (2012). Technology adoption and implementation in organisations: Comparative case studies of 12 English NHS Trusts. BMJ Open, 2(2). doi:10.1136/bmjopen-2012-000872 . Kyratsis, Y., Ahmad, R. and Holmes, A. (2012). Making sense of evidence in management decisions: The role of research-based knowledge on innovation adoption and implementation in healthcare. study protocol. Implementation Science, 7(1). doi:10.1186/1748-5908-7-22 . Atun, R.A., Kyratsis, I., Jelic, G., Rados-Malicbegovic, D. and Gurol-Urganci, I. (2006). Diffusion of complex health innovations--implementation of primary health care reforms in Bosnia and Herzegovina. Health Policy and Planning, 22(1), pp. 28–39. doi:10.1093/heapol/czl031 . Kyratsis, Y., Ahmad, R. and Holmes, A. (2014). Understanding the Process of Innovation Adoption in 12 NHS trusts – technology selection, procurement and implementation to help reduce HCAIs. London. Kyratsis, Y., Ahmad, R., Koroleva, N., Farrell, S. and Holmes, A. (2011). Global Fund Country Case Studies: Critical Interactions between Global Fund-supported Programs and Health Systems, Ukraine. Geneva: The Global Fund to Fight AIDS, Tuberculosis and Malaria. Kyratsis, Y., Ahmad, R., Koroleva, N. and Holmes, A. (2011). Global Fund Country Case Studies: Critical Interactions between Global Fund-supported Programs and Health Systems, Republic of Moldova. Geneva: The Global Fund to Fight AIDS, Tuberculosis and Malaria. Atun, R.A., Kyratsis, Y., Gurol-Urganci, I. and Ahmad, R. (2008). Monitoring and evaluation of family medicine reforms in Turkey. The World Bank. Kyratsis, Y. (2007). Strengthening the Health System in Bosnia and Herzegovina with a focus on Family Medicine: User Perception Report. The World Health Organization. Kyratsis, Y. (2007). Strengthening the Health System in Bosnia and Herzegovina with a focus on Family Medicine: Institutional Assessment Report. World Health Organization. Atun, R.A., McKimm, J., Jollie, C., Kyratsis, Y., Maaroos, H.I., Kalda, R. … Lember, M. (2006). Evaluation of Health Management and Family Medicine Training components in the Republic of Moldova,. The World Bank. Atun, R.A., Kyratsis, Y., Jelic, G., Rados – Malicbegovic, D. and Grubac, Z. (2005). Review of experience of family medicine in Europe and Central Asia (Vol. 3): Bosnia and Herzegovina case study. Washington D.C.: The World Bank. Atun, R.A., Ibragimov, A., Ross, G., Meimanaliev, A., Havhannasiyan, S., Cibotaru, E. … Samyshkin, Y. (2005). Review of experience of family medicine in Europe and Central Asia : Executive summary. Washington D.C.: The World Bank. Associate Editor BMC International Health and Human Rights. Authors: Kyratsis, Y. and Ahmad, R. Athens Greece (2015). Authors: Kyratsis, Y., Atun, R., Philips, N., George, G. Imperial College Business School (2014). Limits of adoption by health professionals into practice. (2013). Description: Pre-conference panel 6th European Public Health Conference, Brussels Mechanisms of successful knowledge transfer: operating at multiple levels of the science-policy interface. Making sense of evidence behind innovations: a multisite comparative study in infection prevention and control innovation in the NHS. Liverpool (2012). Description: Kyratsis, Y., Hatzaras, K.S., Ahmad, R., Iwami, M., International Healthcare Infection Society (HIS) Conference and Federation of Infection Societies (FIS) annual conference. Adoption of HCAI technology & innovations presentation on research findings. (2012). Description: Hatzaras, K., Kyratsis, Y., Brighton and Sussex University Hospitals NHS Trust: (Audrey Emerton Building). Adoption of HCAI technology & innovations presentation on research findings. Surrey (2012). Description: Hatzaras, K.S., Kyratsis, Y. Iwami, M., HS South East Coast Directors of Infection Prevention & Control Forum (The Holiday Inn - Gatwick, Povey Cross, Horley, Surrey). Association for Perioperative Practice 48th Congress & Exhibition. (2012). The sources and types of innovation knowledge in technology adoption decisions in infection prevention and control - comparative case studies of 12 NHS trusts in England. Geneva, Switzerland (2011). Showcase Hospitals Conference, Department of Health HCAI Technology Innovation Programme and Imperial College Healthcare NHS Trust. (2010). Institutional diffusion of a new healthcare template across the diverse cultural landscape of five European Transition Countries. Lisbon, Portugal (2010). Innovation in the NHS: Insights from Case Studies on Technology Adoption to fight Healthcare Associated Infections. Boston, MA, USA (2010). Adopting innovations in the NHS: Technologies to fight Healthcare Associated Infections. Manchester, UK (2010). Description: Health Services Research and Service Delivery and Organisation Joint Network 2010 Annual Conference. Infection Seminars, Faculty of Medicine Imperial College London. (2010). Showcase Hospitals Conference: Heading towards Zero. (2010). Faculty of Medicine, Department of Infectious Diseases & Immunity. (2010). CEELBAS Society, Culture and Politics of Eastern Europe Conference. St Antony's College, University of Oxford (2008). Introducing complex policy innovations: public-private mix in primary care in Estonia and Slovenia. Rome Italy (2008). Disruption and Re-composition of an Organisational Field: the diffusion of family medicine-centred primary healthcare reforms in four European transition countries. VU University, Amsterdam, the Netherlands (2008). Diffusion across contested institutional terrains: a study of family medicine-centred primary health care reforms in Europe. Athens Greece (2008). Introducing complex policy innovations: public-private mix in primary care in Estonia and Slovenia. Washington D.C., USA (2008). Diffusion of Complex Health Innovations - the case of primary care reforms in Bosnia & Herzegovina. Budapest Hungary (2006).